MOVE IN READY!!! Absolutely gorgeous 4BR, 2BA rancher with open floor plan on sprawling half acre lot with trees!! 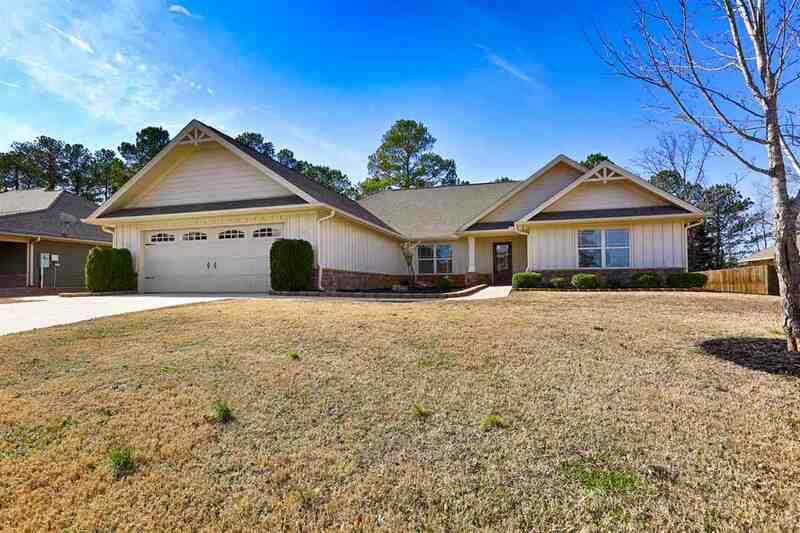 Freshly painted and landscaped, new carpet in bedrooms, beautiful hardwoods and tile throughout the rest of this home. All the rooms are LARGE and the master suite is isolated with a glamour bath and HUGE walk in closet, other 3 bedrooms are very spacious as well. Kitchen features stainless appliances, and granite counters and the eat in area overlooks covered back patio and private back yard, EXTRA LARGE 2 car garage has freshly painted floor and also features a half size slide up extra door to oversized area for toys, 4 wheelers or a work space for the handyman! 0 DOWN! Courtesy of Flo Burkholder Realty, Inc.